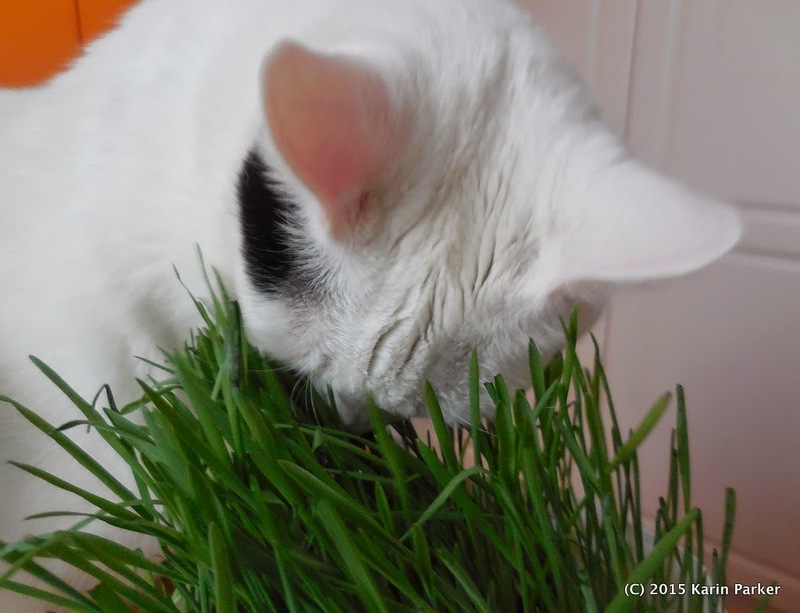 In winter it is important we still get our digestive stimulation from kitty grass, so Äiti grows it specially for us. This means we can yak it up all year round. Aila, being the girlcat she is, always gets first dibs. The rest of us have to wait until she has finished imbibing. 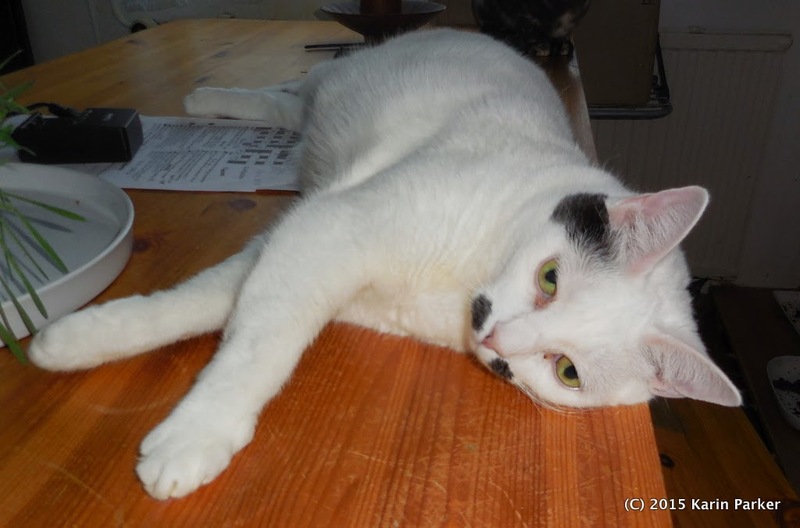 Unless of course she sprawls across the table and none of us dares approach. Anyone would think this was nip, not grass! That is good, healthy looking grass you have. I yack up too much if I eat anything green and leafy. Ladies first. What's the problem? Aila is definitely the guardian of the nip there! Lovely fresh green grass, no wonder you are guarding it. 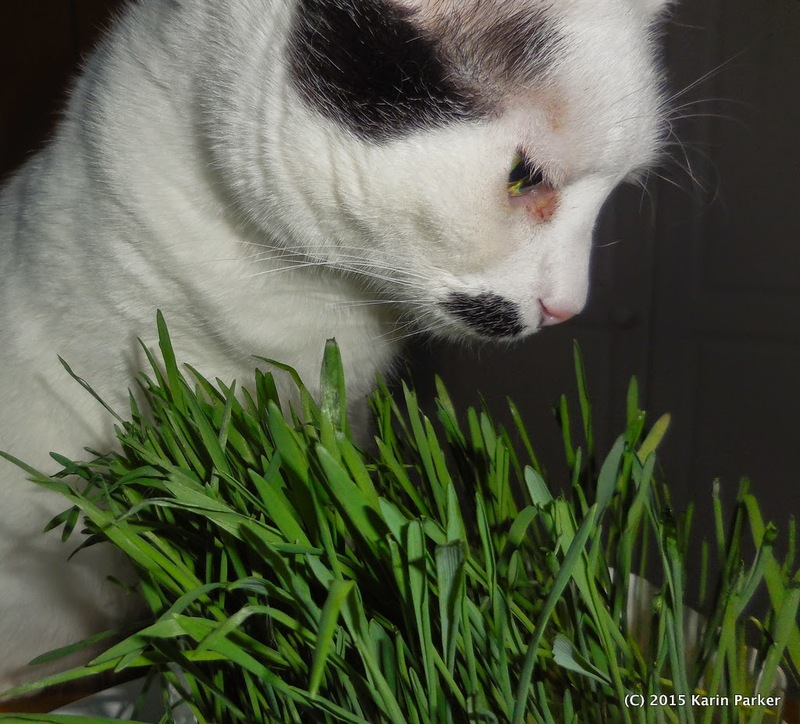 It looks like Aila wants to keep that grass for herself. I am lucky that I have nice lush grass growing in the garden all year round. How wonderful it is to have glorious green gaks year-round! What a pretty face you have, glad you enjoyed your grass.